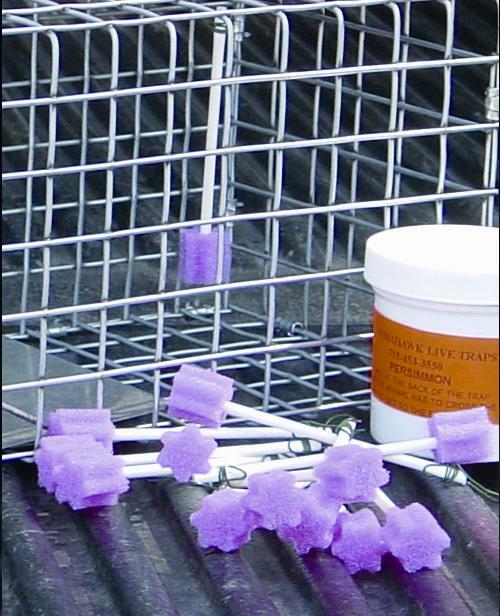 BS12 Use these Bait Sticks when using scented bait or paste to help attract most animals into your live animal trap for easier trapping. AP Use this bait to help attract most animals into your live animal trap for easier trapping. 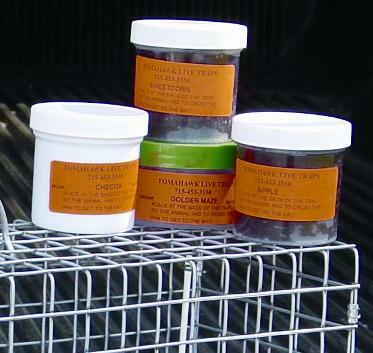 SA Use this bait to help attract Raccoon into your live animal trap for easier trapping. VL Use this bait to help attract Raccoon into your live animal trap for easier trapping. SF Use this bait to help attract Cats into your live animal trap for easier trapping.